Subcontractors are very important in the construction industry. General contractors often subcontract parts of their work to specialist construction sub-contractors. These subcontractors have the skills needed for each area of the job. Subcontractors include carpenters, electricians, construction workers, and more. Of course, the question of how to find subcontracting opportunities can be a challenging one, but we’re here to offer some advice. Websites like FedBizOpps.gov allow you to search for recent contracting awards of over $25,000. You can check award notices for the prime contractor’s DUNS number and then get in touch directly to ask if they have any subcontracting options. The GSA Subcontracting Directory for Small Business lists large prime contractors who have federal contracts. You can contact the contractors to ask if they need your services. Check individual federal department and agency websites. Some departments publish contract awards on their website to invite small businesses to bid for subcontracting jobs. 2. Do plenty of networking. Make connections with other subcontractors. This way, if a subcontractor gets a job that he/she doesn’t have time for, he/she might pass it on to you. 3. Join websites that help subcontractors find work. Supplier Connection is a website created by large contractors like John Deere and CAT to help smaller subcontractors. Register your company and create a profile. Large companies visit this site when they need a subcontractor. Know what your strengths are, and be ready to explain them. If you don’t know why a contractor should give you work, you won’t be able to convince them to do so. Find large contracting businesses that need your skillset. Prepare an introductory letter that focuses on how you fit their specific needs. Promote your skills and the value you bring. Include positive reviews from other contracting firms, and list which consulting firms you’ve worked for. You can also ask those you’ve worked with in the past to share your name, and let them know that you’re looking for more jobs. If you’re a woman, veteran or belong to a minority group, learn how to register as a subcontractor for diversity. Many large contractors have diversity programs, which means that they actively look for subcontractors who are women, veterans or minorities. Cover your bases. 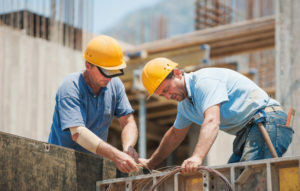 Make sure that you have the right subcontractor general liability insurance. Great coverage allow you and your employees to focus on the job at hand without fear. Do your research. Check that the general contractor or other professional you’re working for is responsible and trustworthy. Do they keep a safe site? Do they have the right construction insurance for their workers? You should ask to see their certificate of insurance. Agree about payment. When and how will you get paid? How will you be reimbursed for expenses? Prepare the contract. Have your own lawyer check that it’s fair to you and that there are no loopholes.